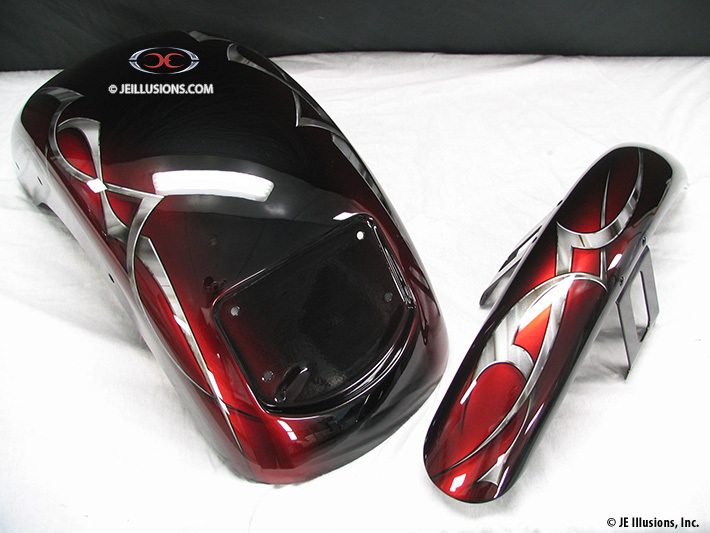 This custom paint job features 2 airbrushed, bevel-edged tribal designs with metallic pearl Silver. 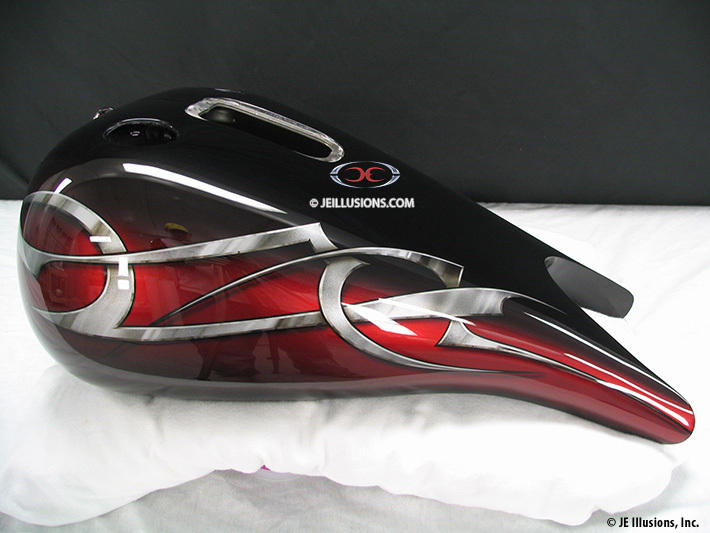 that weave together to form a continuous design that flows around the tank and fenders. 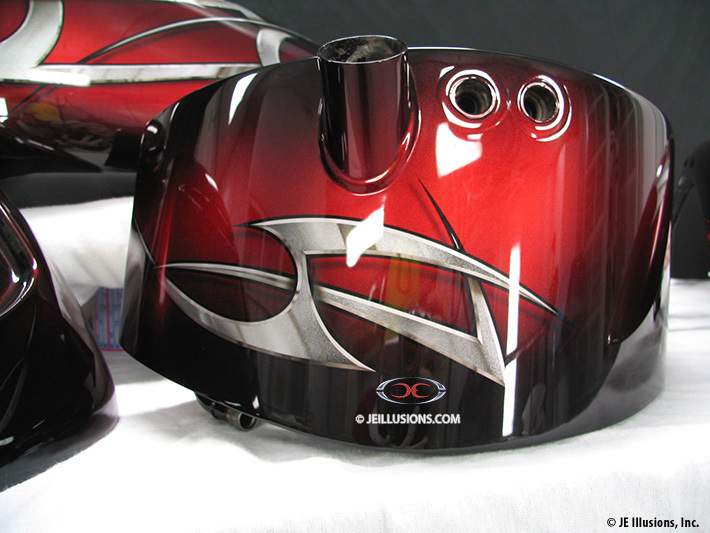 Airbrushed highlights and a drop-shadow effect add extra depth. 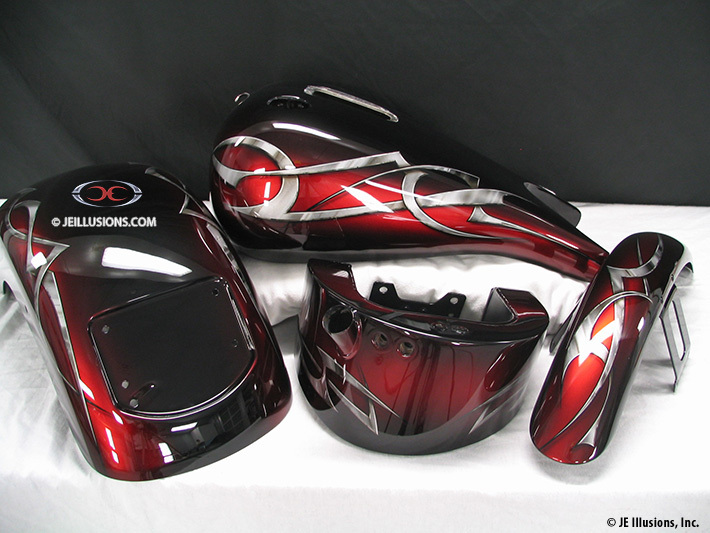 This design sits on top of a high-gloss Jet Black that fades into a deep Burgundy and really sets off the tribal design.